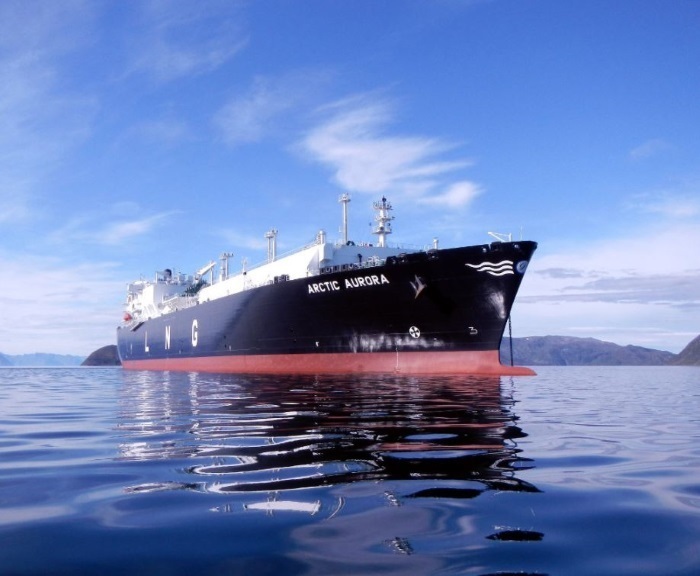 Dynagas LNG Partners LP, an owner and operator of liquefied natural gas (“LNG”) carriers announced its results for the fourth quarter and year ended December 31, 2018. • Reported free cash of $109.9 million and available liquidity of $139.9 million each as of December 31, 2018. Image: Dynagas LNG Partners LP. • Declared and paid per unit cash distribution of $0.7231 on the Series B Preferred Units for the period from October 23, 2018 to February 22, 2019. (1) Adjusted Net Income, Adjusted Earnings/ (Loss) per common unit, Distributable Cash Flow and Adjusted EBITDA are not recognized measures under U.S. GAAP. Please refer to Appendix B of this press release for the definitions and reconciliation of these measures to the most directly comparable financial measures calculated and presented in accordance with U.S. GAAP and other related information. (2) Adjusted Earnings/(Loss) per common unit presentation excludes the Series A and Series B Preferred Units interest on the Partnership’s net income/(loss) for the periods presented. Common unit quarterly cash distribution: On January 25, 2019, the Partnership announced a reduction of its quarterly cash distribution to $0.0625 per common unit in respect of the fourth quarter of 2018, from $0.25 per common unit in prior quarters, which was paid on February 14, 2019 to all common unitholders of record as of February 7, 2019. Series A Preferred Units quarterly cash distribution: On January 23, 2019, the Partnership’s Board of Directors announced a cash distribution of $0.5625 per unit on its Series A Preferred Units (NYSE: DLNG PR A) for the period from November 12, 2018 to February 11, 2019, which was paid on February 12, 2019 to all Series A Preferred unitholders of record as of February 5, 2019. Series B Preferred Units issuance and initial cash distribution: On October 23, 2018, the Partnership completed a public offering of 2,200,000 of its 8.75% Series B Preferred Units (NYSE: DLNG PR B), representing limited partner interests in the Partnership, at a liquidation preference of $25.00 per unit. Distributions will be payable on the Series B Preferred Units up to November 22, 2023 at a fixed rate equal to 8.75% per annum and from November 22, 2023, if not redeemed, at a floating rate. The Partnership received net proceeds of $53.0 million, after deducting underwriters’ discounts and commissions and offering expenses. On February 1, 2019, the Partnership announced its initial cash distribution of $0.7231 per unit on the Series B Preferred Units for the period from October 23, 2018 to February 22, 2019. This initial cash distribution was paid on February 22, 2019 to all Series B Preferred unitholders of record as of February 15, 2019. “Our reported earnings for the fourth quarter ended December 31, 2018 were in line with our expectations. Compared to the same period in 2017, our fourth quarter earnings were impacted by the following occurrences: (i) the decrease in revenues as result of the Arctic Aurora and the Ob River commencing employment under extended charter contracts with their respective charterers at lower rates compared with the previous charter contracts, (ii) the cost and off-hire associated with scheduled special survey and dry-docking of the Lena River and (iii) the increase in U.S. Libor which increased the interest and finance costs of our Term Loan B. All of our LNG carriers are or to be employed on long-term contracts with an average contract duration of approximately ten years, with the first potential vessel availability in the year 2021 (with only one vessel) and thereafter in the year 2026. We believe that our revenue backlog estimate of approximately $1.4 billion is driven in part by our dominant market share in the ownership and operation of ice class LNG carriers. We are pleased that the Yamal LNG project is progressing well. The Lena River is currently employed on a multi -month charter contract with a large US gas producer until the vessel is employed under the 15 year contract with Yamal LNG, which is expected to commence in the third quarter of 2019.
increased financing costs with respect to Partnership’s $480 million senior secured term loan (the “Term Loan B”) in the fourth quarter of 2018 in comparison to the fourth quarter of 2017 due to the increases in U.S. Libor which correspondingly increased the Partnership’s interest and finance costs for the fourth quarter of 2018. Adjusted Net Income for the three months ended December 31, 2018 was $1.3 million as compared to Adjusted Net Income of $7.6 million in the corresponding period of 2017, which represents a decrease of $6.3 million, or 82.9%. Adjusted EBITDA for the three months ended December 31, 2018 was $21.6 million compared to Adjusted EBITDA of $26.9 million for the corresponding period of 2017, which represents a decrease of $5.3 million, or 19.8%. The decrease in Adjusted EBITDA (which excludes non-cash and non-recurring items), was predominantly due to the lower revenues earned on certain of the Partnership’s LNG carriers as further discussed below. The decrease in Adjusted Net Income (which excludes non-cash and non-recurring items) was predominantly due to the lower revenues earned on certain of the Partnership’s LNG carriers as well as the increased financing costs, as also further discussed below. The Partnership’s Distributable Cash Flow for the three-month period ended December 31, 2018 was $5.5 million, compared to $11.8 million in the corresponding period of 2017, which represents a decrease of $6.3 million, or 53.2%, and was due to factors (i) and (iii) outlined above. For the three-month period ended December 31, 2018, the Partnership reported loss per common unit and Adjusted Loss per common unit, basic and diluted, of $0.10 and $0.04, respectively, after taking into account the Series A Preferred Units’ and the Series B Preferred Units’ interest on the Partnership’s net loss/ Adjusted Net Income. Loss per common unit and Adjusted Loss per common unit, basic and diluted, are calculated on the basis of a weighted average number of 35,490,000 common units outstanding during the period, in the case of Adjusted Loss per common unit after reflecting the impact of the non-cash items presented in Appendix B of this press release. Adjusted Net Income, Adjusted EBITDA, Distributable Cash Flow and Adjusted Earnings/(Loss) per common unit are not recognized measures under U.S. GAAP. Please refer to Appendix B of this press release for the definitions and reconciliation of these measures to the most directly comparable financial measures calculated and presented in accordance with U.S. GAAP. 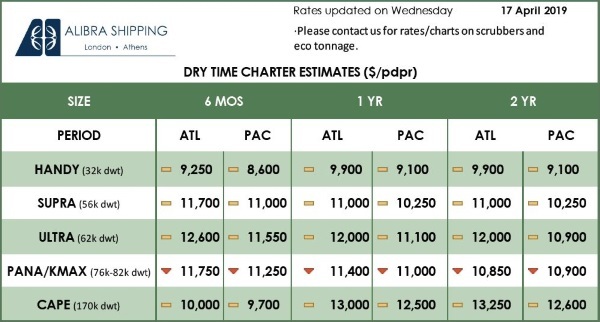 the 16.85 off-hire days of the Lena River, which had its scheduled special survey and dry-docking carried out in the fourth quarter of 2018 (after completion of its five-year legacy charter with Gazprom) and the subsequent delivery into a multi-month charter with a major energy company at a lower charter rate. This decrease in voyage revenues was, however, partially offset by the increase in the fourth quarter 2018 voyage revenues on its steam turbine vessel, the Clean Energy, which was delivered in accordance with its eight-year charter party with Gazprom on July 13, 2018, whereas, the vessel traded in the spot market in the same period of 2017 at a lower charter rate. Vessel operating expenses were $6.4 million, which corresponds to a daily rate of $11,558 in the three-month period ended December 31, 2018, as compared to $6.7 million, or a daily rate of $12,192 in the corresponding period of 2017. This decrease is mainly attributable to crew costs related efficiencies achieved during the fourth quarter of 2018, as compared to the corresponding quarter of 2017. Interest and finance costs were $13.1 million in the fourth quarter of 2018 as compared to $11.8 million in the fourth quarter of 2017, which represents an increase of $1.2 million, or 10.4%. As discussed above, this increase was due to the increase in the Partnership’s weighted average interest in the fourth quarter of 2018 (related to increased interest charges on its variable interest bearing secured debt), as compared to the fourth quarter of 2017. The Partnership reported average daily hire gross of commissions(1) of approximately $57,500 per day per vessel in the three months ended December 31, 2018, compared to approximately $65,900 per day per vessel in the corresponding period of 2017. During the three-month period ended December 31, 2018, the Partnership’s vessels operated at a 99.7% utilization rate compared to a 99.3% utilization rate in the corresponding period of 2017. (1) Average daily hire gross of commissions represents voyage revenue excluding the non-cash time charter deferred revenue amortization and amortization of prepaid charter revenue, divided by the Available Days in the Partnership’s fleet as described in Appendix B. As of December 31, 2018, the Partnership reported free cash of $109.9 million. Total indebtedness outstanding as of December 31, 2018 was $722.8 million (gross of unamortized deferred loan fees). As of December 31, 2018, $254.8 million of the Partnership’s outstanding indebtedness was repayable within one year, which includes recurring principal payments of $4.8 million under its Term Loan B and the $250 million under its 2019 Notes, which mature on October 30, 2019. As of December 31, 2018, the Partnership had unused availability of $30.0 million under its interest free $30 million revolving credit facility with its Sponsor (the “$30 Million Revolving Credit Facility”), which was extended on November 14, 2018, and is available to the Partnership at any time until November 2023. The $30 Million Revolving Credit Facility remains available in its entirety as of the date of this release. As of December 31, 2018, the Partnership reported working capital deficit of $159.8 million (Q4 2017 working capital surplus: $47.5 million) as a result of the current maturity of the Partnership’s 2019 Notes. During the three months ended December 31, 2018, the Partnership generated net cash from operating activities of $9.0 million as compared to $15.0 million in the corresponding period of 2017, which represents a decrease of $6.0 million, or 39.9%. This decrease was attributable to the decrease in period net income due to the factors discussed above. 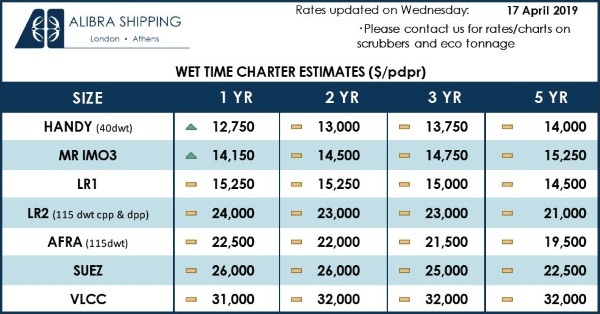 As of March 21, 2019, the Partnership had estimated contracted time charter coverage(2) for 98% of its fleet estimated Available Days (as defined in Appendix B) for 2019, 100% of its fleet estimated Available Days for 2020 and 92% of its fleet estimated Available Days for 2021. As of the same date, the Partnership’s contracted revenue backlog estimate (3) (4) was $1.38 billion, with an average remaining contract term of 9.5 years. (3) The Partnership calculates its estimated contracted revenue backlog by multiplying the contractual daily hire rate by the expected number of days committed under the contracts (assuming earliest delivery and redelivery and excluding options to extend), assuming full utilization. The actual amount of revenues earned and the actual periods during which revenues are earned may differ from the amounts and periods disclosed due to, for example, dry-docking and/or special survey downtime, maintenance projects, off-hire downtime and other factors that result in lower revenues than the Partnership’s average contract backlog per day. Certain time charter contracts that the Partnership has recently entered into with Yamal are subject to the satisfaction of important conditions, which, if not satisfied, or waived by the charterer, may result in their cancellation or amendment before or after the charter term commences and in such case the Partnership may not receive the contracted revenues thereunder. (4) $0.18 billion of the revenue backlog estimate relates to the estimated portion of the hire contained in certain time charter contracts with Yamal which represents the operating expenses of the vessel and is subject to yearly adjustments on the basis of the actual operating costs incurred within each year. The actual amount of revenues earned in respect of such variable hire rate may therefore differ from the amounts included in the revenue backlog estimate due to the yearly variations in the respective vessels’ operating costs.